Be ready for the next cool front with this pullover layer. 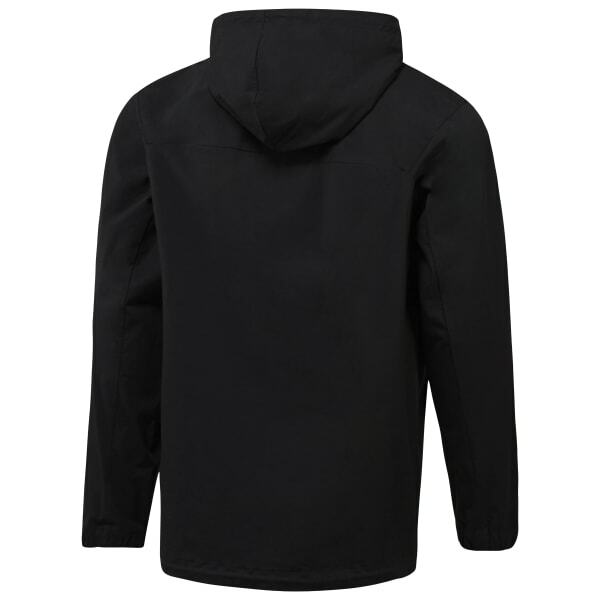 Its half-zip hooded style slips over that short-sleeve tee in a flash, while a center pocket secures a phone or keys. Drawcords at the hood and hem keep the chill from getting under your skin.